I apologize since almost no coherent thoughts would come out of me right now. I am just rolling on the floor crying once again just like when I first read John Green's novel, The Fault In Our Stars. And now that the movie adaptation of the said novel releases a new trailer, I just can't help but replay, revisit and return to that very same fate. Shailene Woodley, Ansel Elgort are just too perfect for the roles of Hazel and Gus, albeit with a little variation compared with my own imagination and interpretation of the characters. Director Josh Boone has really captured the tone and feel of the book, which is also thanks to the screenplay by Scott Neustadter. Willem Dafoe, Nat Wolff, Laura Dern, Sam Trammell, Mike Birbiglia, and Emily Peachey surrounds are two love birds in this 20th Century Fox presentation. Would you cry with me watching The Fault In Our Stars trailer? Hazel and Gus are two extraordinary teenagers who share an acerbic wit, a disdain for the conventional, and a love that sweeps them -- and us -- on an unforgettable journey. Their relationship is all the more miraculous, given that they met and fell in love at a cancer support group. 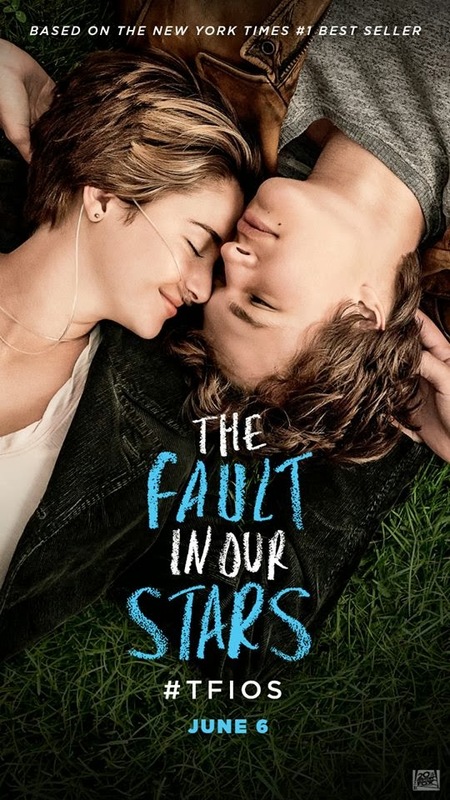 The Fault In Our Stars, based upon the number-one bestselling novel by John Green, explores the funny, thrilling and tragic business of being alive and in love. The stars will continue to shine in theaters with The Fault in Our Stars, to be released on June 6, 2014.